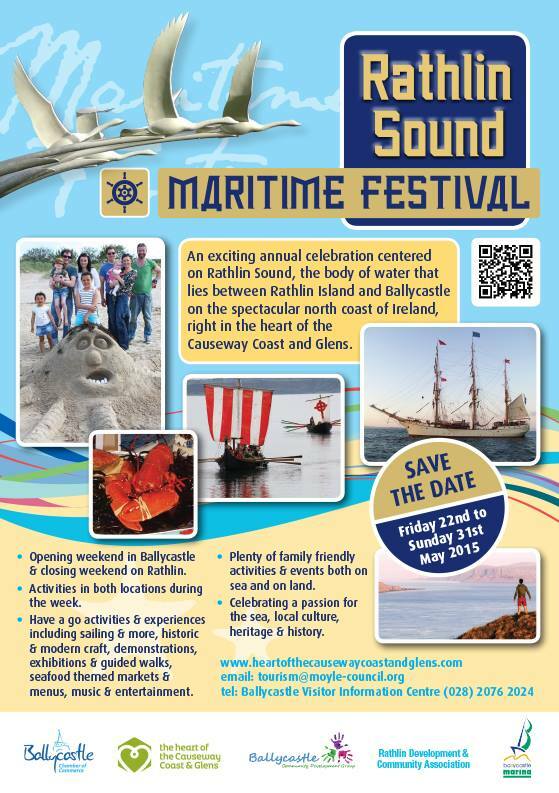 We’ll be bringing a touch of Irish Traditional Music to the Rathlin Sound Maritime Festival in Ballycastle & Rathlin Island off the Antrim coast. Our main gig will be in the Main Marquee on Saturday 23 May at 8pm. We’ll also be playing a few tunes after the opening parade at the Blessing of the Boats on Friday night, and we’ll have a few taster tunes around the town, and maybe even on Rathlin Island, on Saturday during the day.